The 18-hole Colonial Country Club in Hemet, CA is a private golf course that opened in 1971. Colonial Country Club measures 2223 yards from the longest tees and has a slope rating of 85 and a 27. Diamond Valley Golf Club is an easy drive into Hemet Valley from a number of locations including San Diego, Orange County, and Los Angeles. The layout encompasses a variety of terrain, from scenic waterscapes to lush, rolling hills covered with native plants and grasses. The 9-hole Echo Hills Golf Club in Hemet, CA is a public golf course that opened in 1959. Designed by Ed Dover, Echo Hills Golf Club measures 2229 yards from the longest tees and has a slope rating of 92 and a 29. 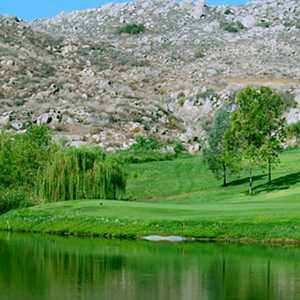 The 18-hole Hemet Golf Club in Hemet, CA is a public golf course that opened in 2003. Designed by Brian Curley and Lee E. Schmidt, Hemet Golf Club measures 6590 yards from the longest tees and has a slope rating of 120 and a 71 USGA rating. 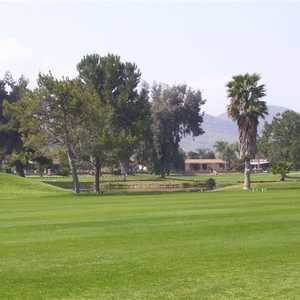 The 9-hole Hemet West Mobile Park in Hemet, CA is a private golf course that opened in 1975. The 9-hole Panorama Village Golf Course in Hemet, CA is a private golf course that opened in 1965. The 18-hole Seven Hills Golf Club in Hemet, CA is a public golf course that opened in 1970. Designed by Harry & David Rainville, Seven Hills Golf Club measures 6557 yards from the longest tees and has a slope rating of 116 and a 70.